No more special buttons for dragging and deleting, just grab the edge of any content area and drag it to a new place — or the trash bin. Three new city names in our beautiful design theme family are Amsterdam, Barcelona and Boulder. 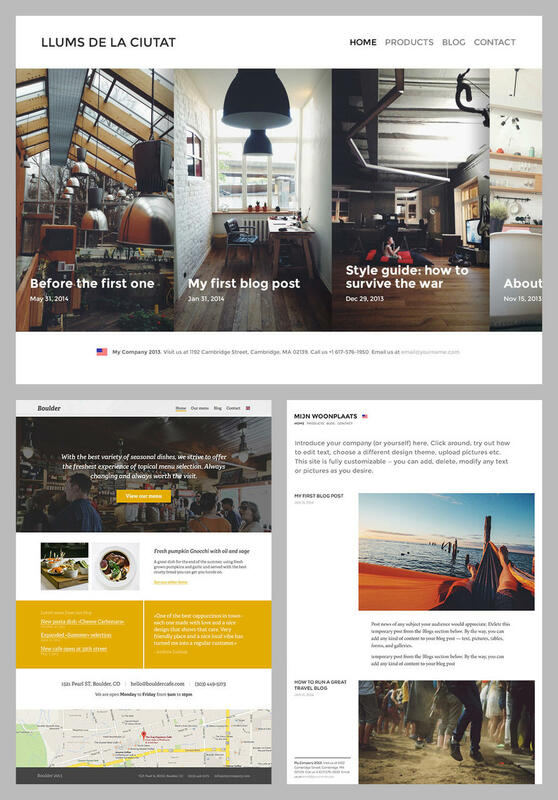 The look and feel of every Voog design can be changed completely by any user through changing the photos and colors — in addition to inserting your unique content. Advanced users can of course completely customize or rebuild the designs on coding level or create something completely unique. There are no restrictions. 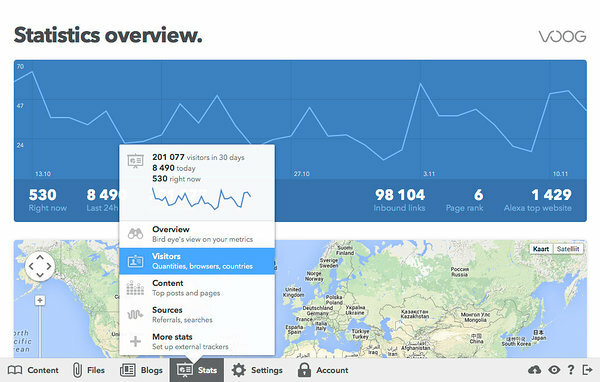 You can now analyze more detailed visitor and content trends right inside your Voog account. We launched a little oft-requested feature: developers and designers can join the oldest internet phenomena and design unique Error 404 (Page not found) and Error 401 (Password required) pages for their customer websites on Voog. We've also improved the text and image editing experience, updated link editor and made the links to your website in Facebook and Twitter look gorgeous when you share something on social media.